Here are 20 spectacular fireplaces that will surely inspire you to bring this welcoming feeling inside your house. Gaia was known as the goddess who created life and the progenitor of fire. 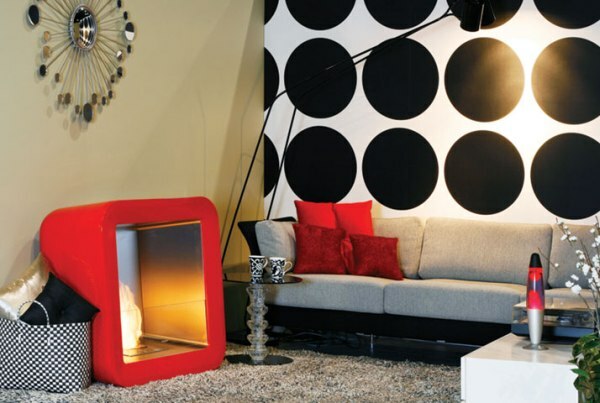 Arkiane, the designer of this fireplace took that to heart in creating the Gaia fireplace. It has a 180 degree viewing range due to the large glass panels on both sides and the front. If you are looking for a fireplace that can be used in either a corporate or a residential setting then look no further than the Modus 984. It has a rusty colored metal body that can extend beyond the fire bowl and can be used as a table or chair. 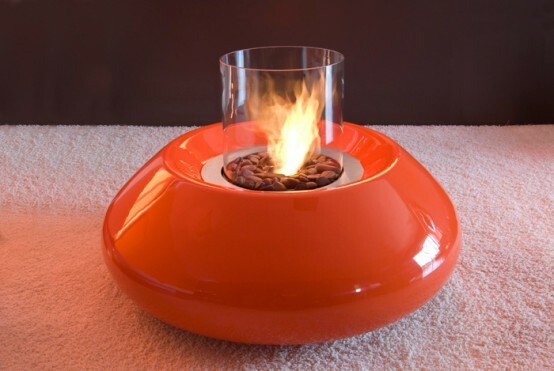 It also has a flue and a fire bowl that are both made from stainless steel. 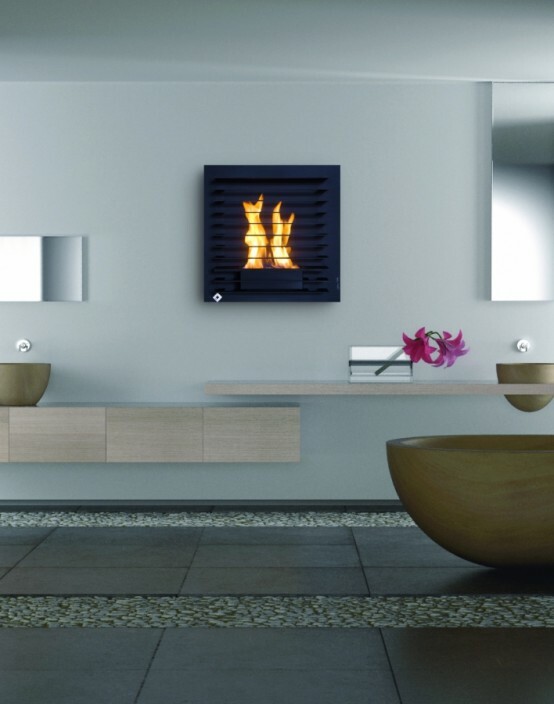 Euroflues has created a fireplace that will fit right in anywhere because it looks like a huge picture frame. Pictofocus can be put on any wall and even comes in two different sizes. 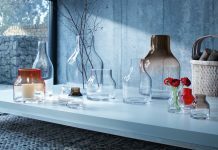 It has been awarded at design shows in Paris for the simplicity of its design. There are two ways that it can be installed. 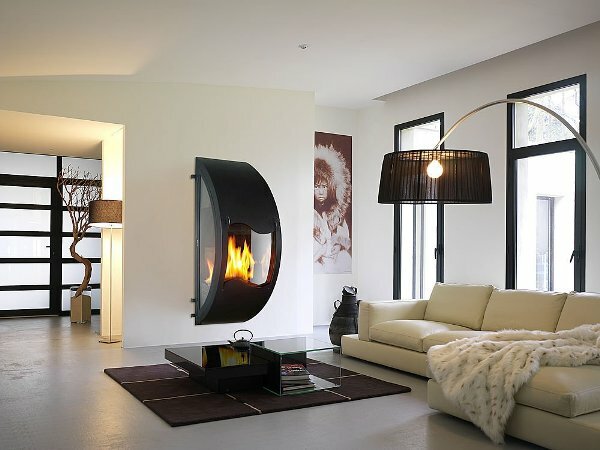 It can be installed either as a double sided fireplace or in a corner. Planika has made an interesting coffee table. Double is a contemporary style coffee table with a bonus. It has a smokeless fire built right in it! By using the Glassfire Technology, they have integrated a fireplace right into the coffee table and you won’t even have to worry about smoke, ashes or even the fire itself! Planika has done it again. The Bubble is yet another in a long line of fireplaces that are designed to please. The bubble comes in a red orange color and is cylindrical in shape. 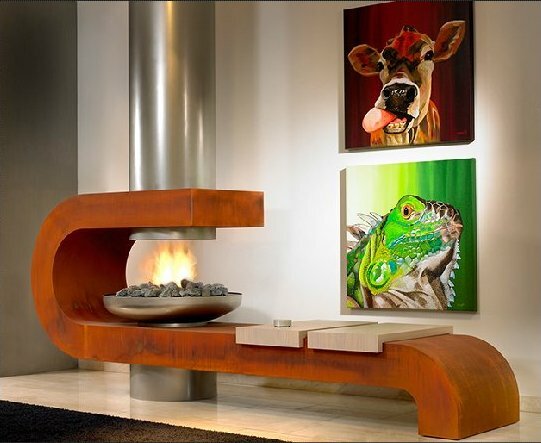 This is a mobile fireplace that was designed to draw attention and is awesome among funky contemporary designs. 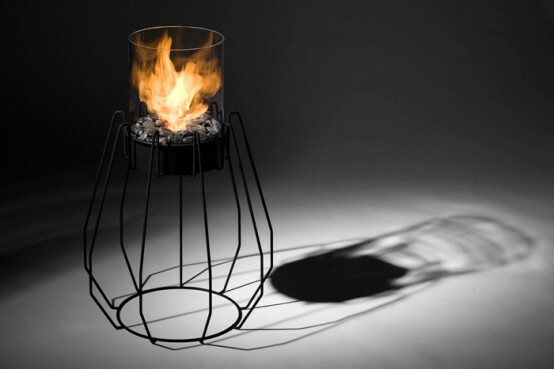 Stephane Peruchon has made a unique styled fireplace that burns a bio ethanol fuel. 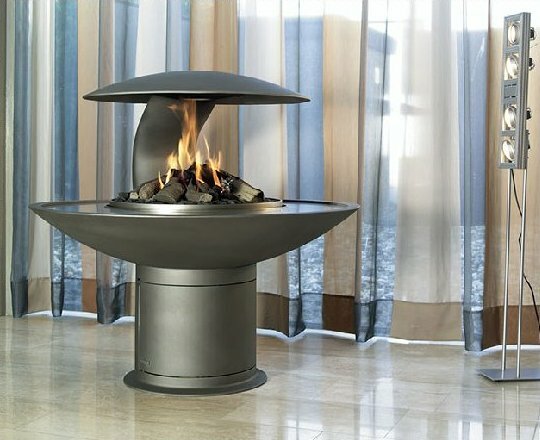 It is an outdoor fireplace and sits inside a round steel frame that can be placed either vertically or horizontally depending on the mood or look that your prefer. 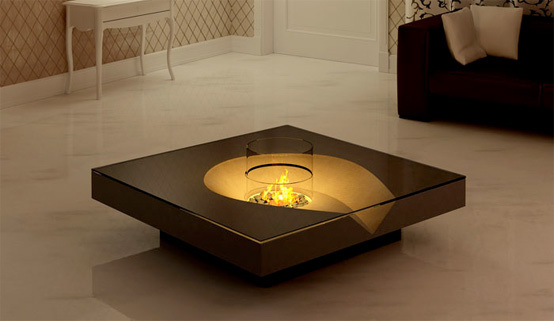 The fire itself sits on a fire tray in the center of the circle. This is definitely not your everyday fireplace. It comes in a pink color with red whirls through it. Your patio or terrace will look awesome with the addition of this work of art. In English, the name for this fireplace is ‘Fire in the Trunk’. Malle On Fire is an innovative new fireplace created by Atria. Imagine that you have limited space. You have friends come over and you guys want to enjoy a cozy fire. Simply pull out your white trunk, flip the lid up and set it ablaze. Your friends will be amazed. This was made in this fashion so that you could have a fire when you wanted without having a firplace sitting around taking up wall space. Ecosmart fire has plenty of fireplaces for you to choose from, but one stands out from the rest. The Retro was designed by Marc Philipp Veenendaal and has an absolutely revolutionary design. It brings to mind the sixties and has the look of a fire in a cube with rounded edges. It can be put in just about any space and will instantly become a conversation piece no matter where it is. You can get in black or white. This is a open wall mounted fireplaces. It can be fueled multiple ways. You can choose, wood or bioethanol to fuel it. If you choose gas, it can be controlled via remote control. These models are custom built so you would have your choice in materials, finishes and fuel system. 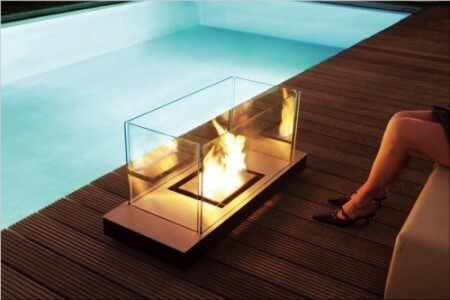 The fire itself would sit on a metal fire pit and it has glass surrounding it on all sides not attached to a wall. Have you ever been to a casino or an office building where they had a long line of flames along the wall? Have you ever wondered how they managed to achieve that? Planika Fires now has a home fireplace that will give you the same effect. The Fire Line insert also runs on biofuel so you won’t have to worry about the smell of wood smoke and it can be controlled with the touch of a button on your remote control. Modus 998 seemingly flue less design is a real piece of fireplace engineering and ingenuity. 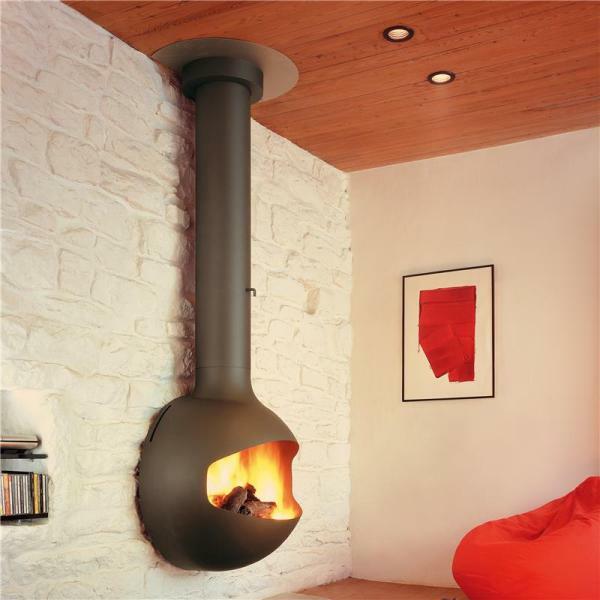 The fact that it appears flue less gives the design a real sense of simplicity and elegance. Ideal for home or commercial interiors this design provides a real cozy ambiance whilst being a focal and statement design piece. Say you have a small apartment and want a fireplace but you don’t think you have room for it. The Emifocus might just be the fireplace for you. 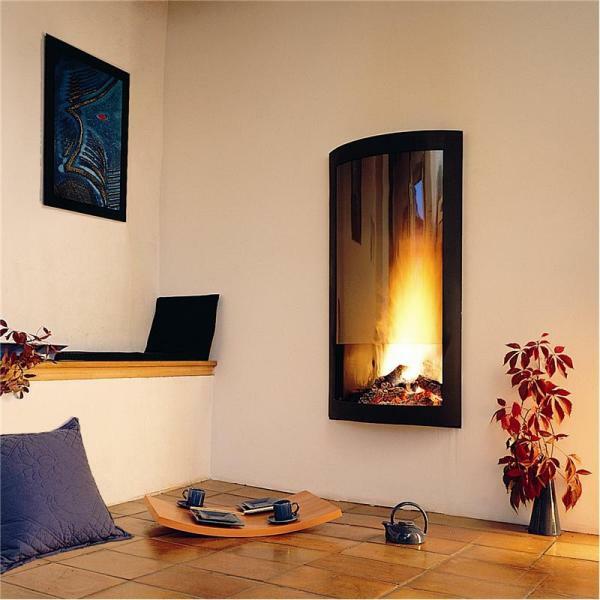 It is smaller than conventional fireplaces and wall mounted. It has a wide face so that you can enjoy the feel of a large fire while still being in your apartment. Plankia Fires has a design for an indoor fireplace that is just welcoming. It is one of those fireplaces that just makes you want to come in and relax by it. The Hot Chocolate fireplace is made from wood but has a steel cylinder through the center that is where the fire is made. It is perfect for someone who treasures more earthy tones. Aktys is the designer of this fireplace that can double as a work of art. The Scale can actually be fastened to the wall simply by using four screws. The Scale is perfect for those that want the look of a fireplace but who don’t have the room for one. 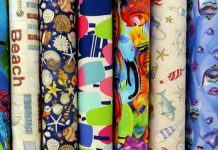 There is no floor space required, just a sufficient amount of wall space is needed. 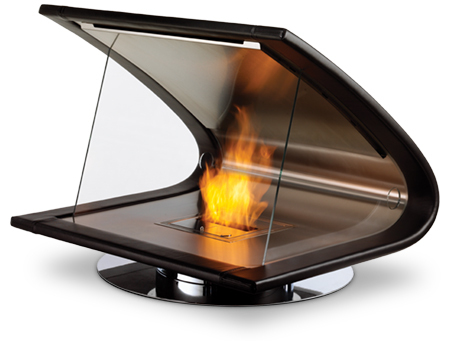 The Zeta Portable Ventless Fireplace won the 2009 Design Award at the Australian International Design Awards. This is a very original design by John Dimopoulos. It has an elliptical shape and it is a fusion of stainless steel, leather and timber. It is portable and rests on a stainless steel base that swivels. The body is made of plywood and shaped by being heated on an aluminum mold. There is a firebox insertion that is made from stainless steel and is attached to the plywood. The leather mentioned earlier is then used to cover the outer surface. There is a glass screen that is paced on either side of the fire thereby enhancing the visual effect. This model is available in 5 colors. Planika is adding yet another fireplace to their venerable line. 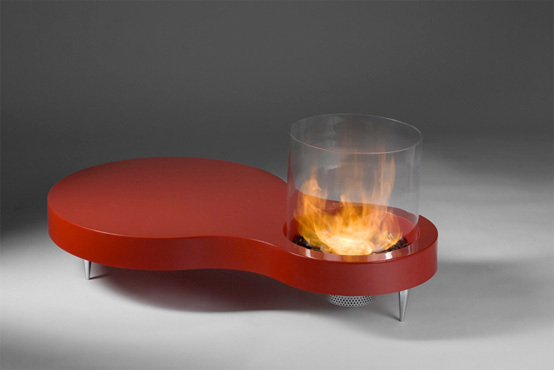 Designed by Arik Levy, the fire high wanted to emphasize how flames can be light. To achieve this, instead of using bulky, heavy materials to display the flames, he instead used thin bars made of steel. In doing this, he hoped to illumine how the fire does not have to seem all consuming, but instead can be seen with an almost ethereal quality. Radius Design has a new fireplace called the Uni Flame. It is simplistic in design and light enough to use anywhere. Set on a long metal base, the fire burns merrily in the center and is surrounded by glass on all sides to enhance the look of the flames. This would be beautiful either poolside, in a garden, on a terrace or in your home. 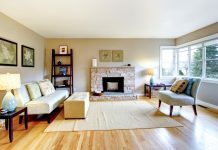 Would you enjoy a fireplace in your home but you don’t think that you could have one because you don’t have much space? If so, think again! 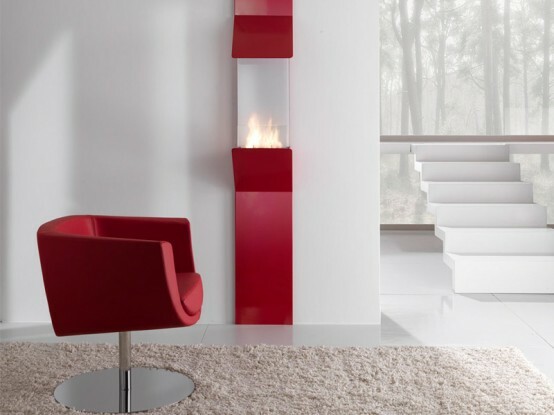 Fontana Forni has created the Minimalist fireplace that simply hangs on the wall. It burns bioethanol and if you want it to have a different scent, simply get the fragrances for it where you get the fuel. This model is available in white and red. The Saba by Wittus is a fireplace that combines the styles of tradition and contemporary along with infusing it with its own unique brand of hip. 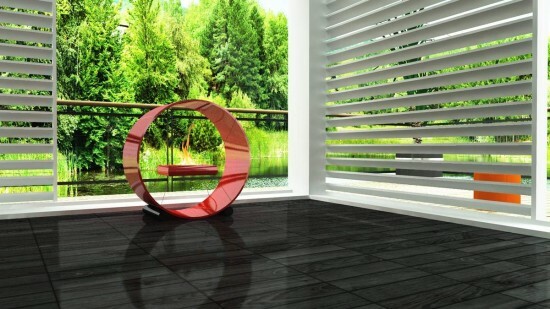 It can be ordered in one of four materials: painted steel, tile, sandstone, and natural stone. This is a freestanding wood fireplace and can be ordered in a variety of colors. It comes with a convection heat door, an ash retainer and a window. 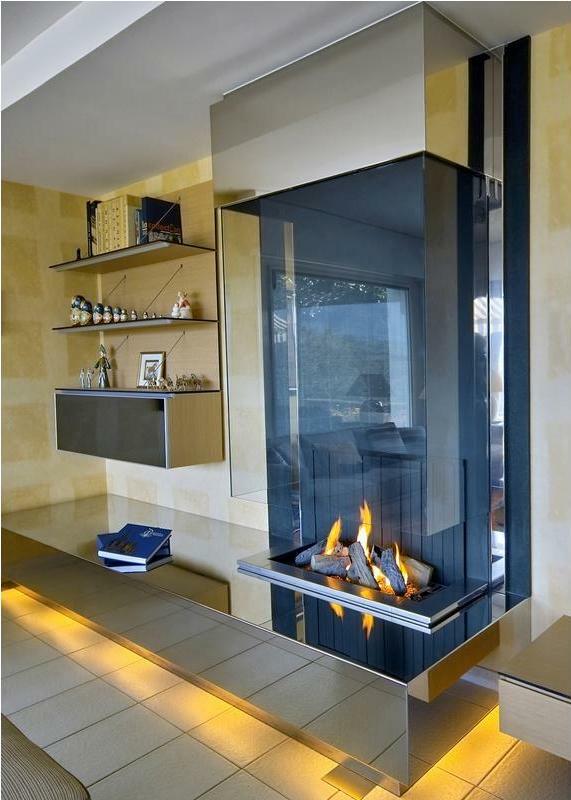 Euroflues has designed the innovative fireplace called the Pharos Exterior. 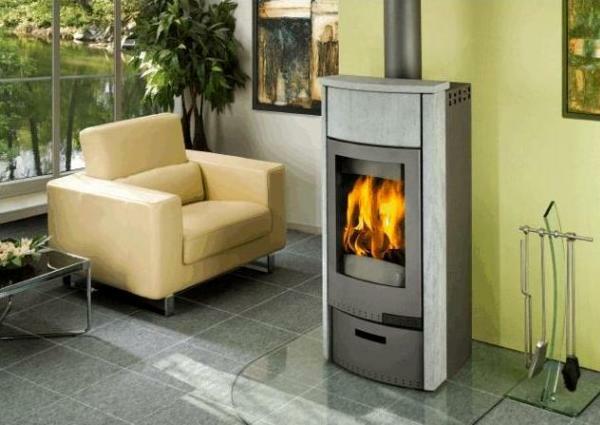 It has a contemporary style and is designed to burn wood. 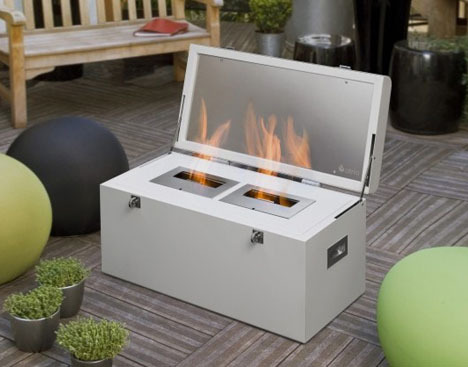 It is a freestanding outdoor fireplace. The material is metal and comes in black, grey or brown. 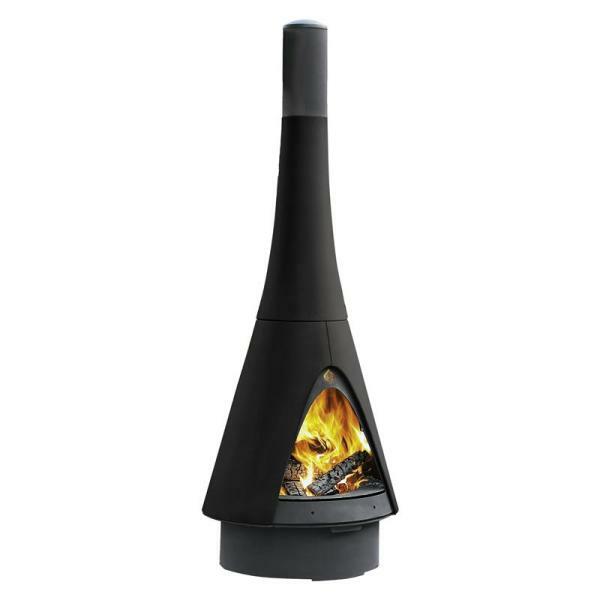 It is basically a fire cone and will make evenings out on your terrace a thing to remember. Spend cold nights talking around the fire with your family outside roasting marshmallows. What a way to make memories!